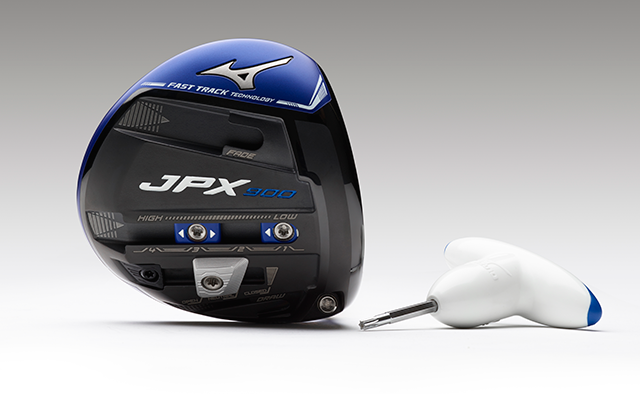 The new Mizuno JPX900 driver has arrived just in time for me to test it in a ProAm Tournament in St Kitts. 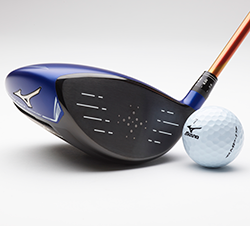 The distinctive Mizuno blue head juxtaposed against the orange of the Fujikura Speeder Evolution 2 shaft makes for a dynamic combination and I just love the look at address. I can’t wait to smash one down the first at St Kitts Golf Club. 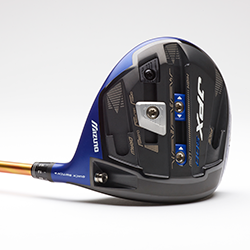 The first thing you will notice when you look under the hood of the JPX900 is the three-track weight system using two 8g weights. Mizuno with the MP-600 were the first to introduce the track system. The three options give you as always, fade and draw options or you can put both in the natural position, but by moving the weight from high to low you can adjust the trajectory of the ball. 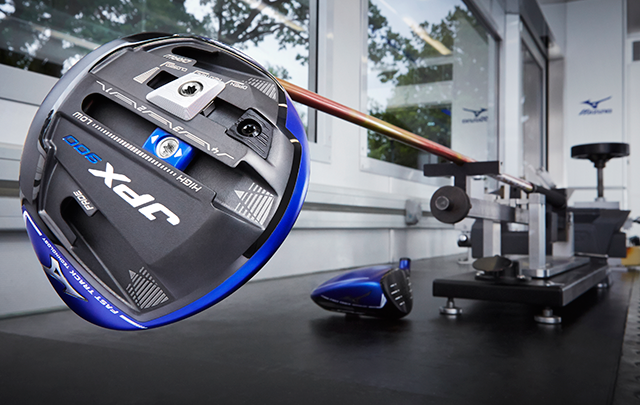 adjustability of the hosel which you can move from 7.5° to 11.5° – it also has three upright settings of 8.5° to 10.5° – it opens and closes the club face, with this added track you can now move the clubface to where you like it to sit at address after you have made all the other adjustments to give you the best results for your swing. 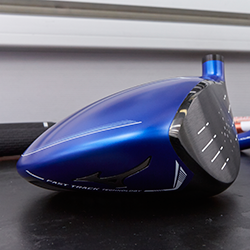 The other key technology Mizuno have incorporated into the JPX900 is the multi-thickness face that has been strengthened in key areas to help boost ball speeds on those miss hit shots as well as the ones you nail in the middle. I loved every minute of every drive I hit. 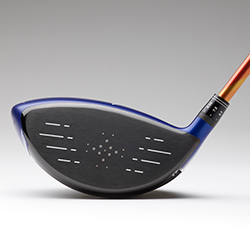 The sound and feel at impact gives you so much confidence you can literally feel the ball crushing out from the face and flying down the fairway. The great thing is when you can feel the club and ball like that you just want to keep hitting the driver on every hole. 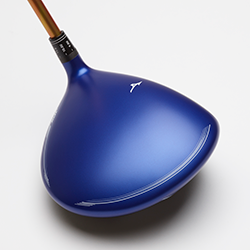 I think the guys at Mizuno have done a fantastic job pairing the matt blue finish with the orange of the Fujikura Speeder 2 shaft, it’s a combination that looks perfect at address and being able to move that extra weight on the bottom of the club to control how the face sits behind the ball after you have made your adjustments is a great idea. 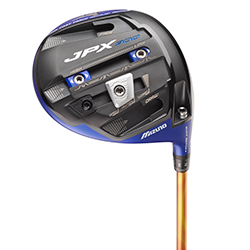 If you are thinking of buying a new driver this year you have to put the Mizuno JPX900 on your testing list, when you feel and hear that sound at impact and see how good the club looks at address, well you can thank me later for pointing you in the right direction.